He was naturalized as a British citizen, by Act of Parliament between 1689 and 1691.1 He succeeded as the 8th Baron Hunsdon of Hunsdon, co. Hertford [E., 1559] on 11 March 1707/8, after he petitioned to claim the Barony.1 His last will was dated 23 April 1763. [S6] G.E. Cokayne; with Vicary Gibbs, H.A. Doubleday, Geoffrey H. White, Duncan Warrand and Lord Howard de Walden, editors, The Complete Peerage of England, Scotland, Ireland, Great Britain and the United Kingdom, Extant, Extinct or Dormant, new ed., 13 volumes in 14 (1910-1959; reprint in 6 volumes, Gloucester, U.K.: Alan Sutton Publishing, 2000), volume VI, page 630. Hereinafter cited as The Complete Peerage. [S6] Cokayne, and others, The Complete Peerage, volume VI, page 632. 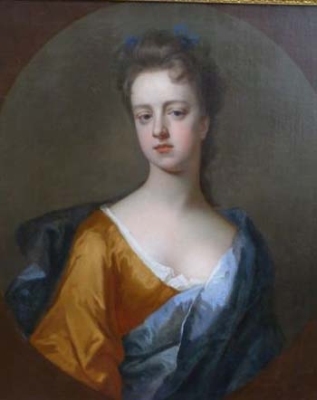 From before 1717, her married name became Wolstenholme.1 From 11 January 1717/18, her married name became Carey.1 After her marriage, Grace Waldo was styled as Baroness Hunsdon of Hunsdon on 11 January 1717/18. [S6] G.E. Cokayne; with Vicary Gibbs, H.A. Doubleday, Geoffrey H. White, Duncan Warrand and Lord Howard de Walden, editors, The Complete Peerage of England, Scotland, Ireland, Great Britain and the United Kingdom, Extant, Extinct or Dormant, new ed., 13 volumes in 14 (1910-1959; reprint in 6 volumes, Gloucester, U.K.: Alan Sutton Publishing, 2000), volume VI, page 632. Hereinafter cited as The Complete Peerage. He gained the title of Comte de Hainaut in 1246. John Waldegrave was the son of Edward Waldegrave and Elizabeth Cheney. He married Lora Rochester, daughter of Sir John Rochester. He died on 6 October 1543.